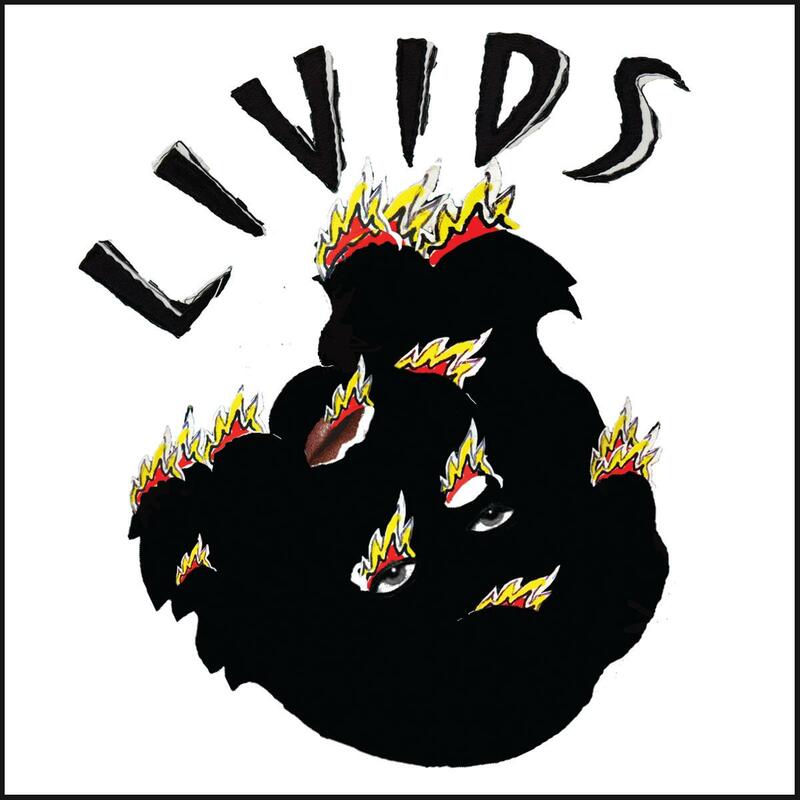 Twistworthy Records - TW-16: LIVIDS - "She Likes Zits" 7"
Hailing from Brooklyn and parts nearby, LIVIDS is a new buzz punk stuporgroup featuring screamer Eric Davidson (New Bomb Turks), Jami Wolf (Shop Fronts, Zodiac Killers) and Daniel Kelley (Dead Ringers, Complaints, Paper Bags, and Re-volts) on guitars, Greg Collins (Radio 4) on drums, and boss bass bender Joi Lacour. While the voice of Eric Davidson will be a familiar one to any garage punk enthusiast worth their weight in salt, these raucous, shout along punk anthems stand above and beyond, sounding new and exciting. This 7" features two LIVIDS originals, and a cover of the 1977 punk classic from Rollerball, "Savage Eyes". LIVIDS "She Likes Zits" 7"
100 copies on Red vinyl.